One of the biggest struggles when starting proofreading training is letting go of the rules that we were taught in school. From grade school on, certain grammatical rules were reinforced on a consistent basis. Rules like “Don’t start a sentence with the word So,” or “Write he or she — not they!” haunt many of us to this day. But language evolves, and rules were made to be broken. Below, I’m sharing a video lesson from my grammar hero, John McIntyre of The Baltimore Sun. We both share the same empathetic and flexible approach to language, which is something that I try my best to share with y’all. After all, it’s the only way you should be working with words. Enjoy the video! Want to learn some more? 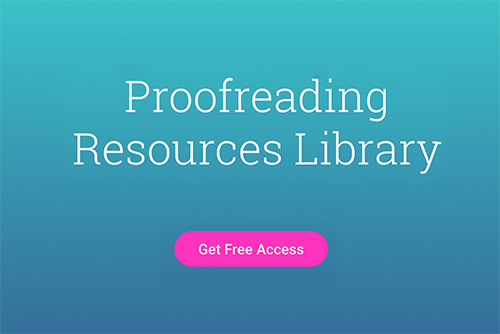 Sign up for our free 5-day intro course, Proofreading 101, in the box below and get lessons on proofreading, the industry, and much more sent to your inbox.